Our product development department has considerable expert knowledge about distillation and blending of peppermint oils and coming up with creative solutions for our clients. A dedicated team of research chemists aims to meet customers' requirements by drawing upon the experience and knowledge of existing products.Working in close co-ordination with our customers our, flavorists apply their own creativity within the framework of the customer's briefs to achieve optimal results.Using specially designed distillation columns, we formulate Peppermint oils of different specifications to suit varied customers' needs. The health benefits of peppermint oil include its ability to treat indigestion, respiratory problems, headache, nausea, fever, stomach and bowel spasms and pain. 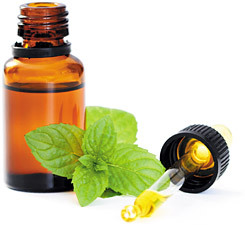 Due to the presence of menthol, menthone and menthyl esters, peppermint and peppermint oil find wide applications in manufacture of soap, shampoo, cigarette, toothpaste, chewing gum, tea and ice cream.Peppermint is a cross between watermint and spearmint and is native to Europe. Historically, the herb has been known for its medicinal uses. Hence it is often termed as the world’s oldest medicine.Unlike many other herbs and essential oils, numerous health benefits of peppermint and peppermint oil have been studied and proved by the scientific community. As a result, peppermint oil is also sold in the form of capsules and tablets.Peppermint oil is also used as a flavoring agent. You will find very few people who will not find peppermint suitable to their palate. Peppermint oil has been used for a variety of health conditions, including nausea, indigestion, and cold symptoms. Peppermint oil is also used for headaches, muscle and nerve pain, and stomach and bowel conditions such as irritable bowel syndrome. How can there be so many different peppermint oil uses? Because it is made up of many different compounds. Some of these compounds have analgesic (pain relieving) properties, appetite suppression properties, anti-inflammation properties, antiparasitic (worms) properties, antiviral properties. Other peppermint oil uses are as digestive stimulants and yet others relate to gall bladder issues.